It has been a good couple years for the great apes. A (likely) new species of giant chimpanzee has come to light in the last few years (the so-called Bili Ape), the population of western lowland gorillas expanded dramatically upon the discovery of many more individuals hiding in the northern part of the Republic of Congo, and now a sizable population of orangutans has been found in an out-of-the-way mountainous corner of Borneo. While apes in general are far more elusive than most people realize, I found it interesting that the Nature Conservancy's biologists in Borneo had only seen five orangutans in a five year period before this expedition. 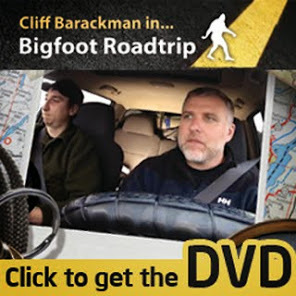 If sasquatches are in fact examples of relic Gigantopithecines, or another closely related species, then orangutans should be of high interest to all bigfooters. 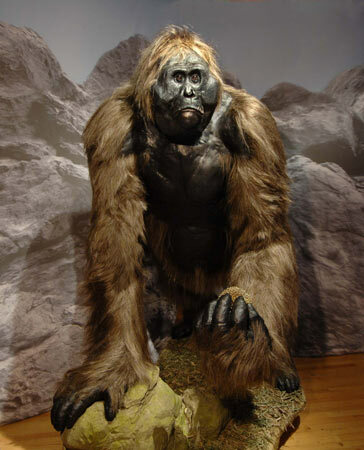 Gigantopithecus, as well as Sivapithecus and Ramapithecus are thought to be closely related to orangutans. If this is true then behavior of orangutans could reasonably be used to model bigfoot behavior. This bigfoot/orangutan parallelism is useful for other reasons. Orangutans seem to show a type of intelligence not found in the other great apes. Most apes use trial and error for problem solving, whereas orangutans may start this way, but soon retreat into thought. That's right, thought. Experiments have indicated that orangutans actually think through a problem solving situation, and apply the solution on the first try (after the thought process). Since bigfoots seem to be thinkers and planners themselves, the study of orangutan intelligence might yield insights to sasquatch behavior. I am currently reading The Red Ape by Dr. Jeffrey H. Schwartz. He seems to be putting forth a very compelling argument that humans might be more closely related to orangutans than the African apes. (Being only half way through the book, this is a guess on my part. I'll let you know his findings after I'm done with the text.) He notes that fewer morphological (anatomical) similarities exist between humans and the African apes than exist between humans and orangs. Schwartz also has detailed the flimsy foundation that chromosomal studies of evolutionary relatedness rests on, being based on assumptions about how evolution works on a molecular level. You can see that I'm often deep in thought about orangutans, and any news about these endangered apes catches my attention. Today, for once, the news was very, very good. I have changed the format of the original article slightly, in that I have made the text italicized where I think it is interesting in the context of sasquatches. Enjoy the article. This is a photograph of one of the newly discovered orangutans. Note the dark color of the fur. It is a rare subspecies of orangutan, the Black Borneon orangutan, or Pongo pygmaeus morio. JAKARTA, Indonesia (AP) — Conservationists have discovered a new population of orangutans in a remote, mountainous corner of Indonesia — perhaps as many as 2,000 — giving a rare boost to one of the world's most endangered great apes. A team surveying forests nestled between jagged, limestone cliffs on the eastern edge of Borneo island counted 219 orangutan nests, indicating a "substantial" number of the animals, said Erik Meijaard, a senior ecologist at the U.S.-based The Nature Conservancy. The countries are the world's top producers of palm oil, used in food, cosmetics and to meet growing demands for "clean-burning" fuels in the U.S. and Europe. Rain forests, where the solitary animals spend almost all of their time, have been clear-cut and burned at alarming rates to make way for lucrative palm oil plantations. The steep topography, poor soil and general inaccessibility of the rugged limestone mountains appear to have shielded the area from development, at least for now, said Meijaard. Its trees include those highly sought after for commercial timber. Birute Mary Galdikas, a Canadian scientist who has spent nearly four decades studying orangutans in the wild, said most of the remaining populations are small and scattered, which make them especially vulnerable to extinction. "So yes, finding a population that science did not know about is significant, especially one of this size," she said, noting that those found on the eastern part of the island represent a rare subspecies, the black Borneon orangutan, or Pongo pygmaeus morio. The 700-square mile (2,500-square kilometer) jungle escaped the massive fires that devastated almost all of the surrounding forests in the late 1990s. The blazes were set by plantation owners and small-scale farmers and exacerbated by the El Nino droughts. Nardiyono, who headed The Nature Conservancy's weeklong survey in December, said "it could be the density is very high because after the fires, the orangutans all flocked to one small area." It was unusual to come face-to-face with even one of the elusive creatures in the wild and to encounter three was extraordinary, he said, adding that before this expedition, he had seen just five in as many years. "That we are still finding new populations indicates that we still have a chance to save this animal," said Paul Hartman, who heads the U.S.-funded Orangutan Conservation Service Program, adding it's not all "gloom and doom." Noviar Andayani, head of the Indonesian Primate Association and Orangutan Forum, said the new discoveries point to how much work still needs to be done to come up with accurate population assessments, considered vital to determining a species' vulnerability to extinction. "There are many areas that still have not been surveyed," she said, adding that 18 private conservation groups have just started work on an in-depth census based on interviews with people who spend time in the forests. They include villagers and those working on plantations or within logging concessions. "We hope this will help fill in a few more gaps," said Andayani, adding that preliminary tests in areas where populations are known indicate that the new interview-based technique could provide a clearer picture than nest tallies. "Right now the information and data we have about orangutans is still pretty rudimentary," she said. Some experts say at the current rate of habitat destruction, the animals could be wiped out within the next two decades. Excellent news about more orangs! Magnificent creatures.....very intelligent. I read something recently about a group (and I don't remember if it was in Borneo or Sumatra)of orangs that actually taught themselves how to swim! I believe they are even more intelligent than gorillas. 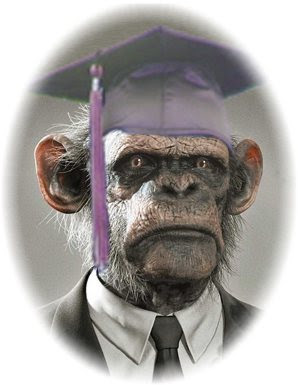 They definitely prove that apes are capable of higher thought processes.